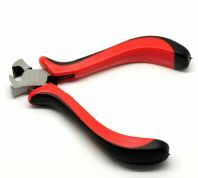 Essential tools to get you started. 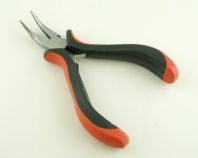 Round Nose Pliers are used to create round loops in wire and pins to connect beads to beads or chain. 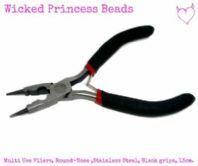 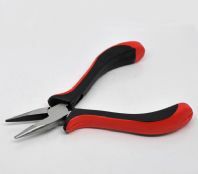 Flat Nose Pliers are used to open and close jump rings and to hold pieces of jewellery components secure. 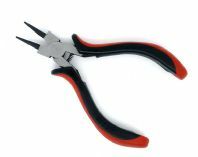 Crimping Pliers are used to compress the crimp onto the wire to secure the beads. 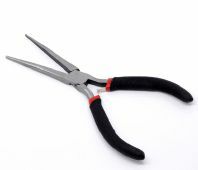 Wire Cutters are used to make clean cuts in wire and to trim pins to size.